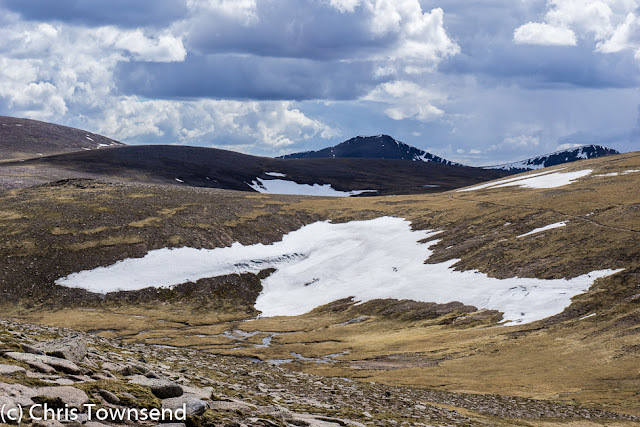 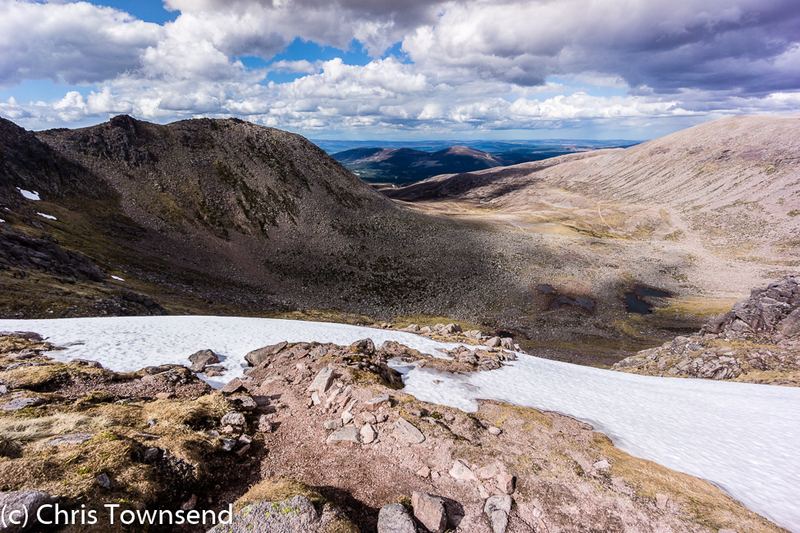 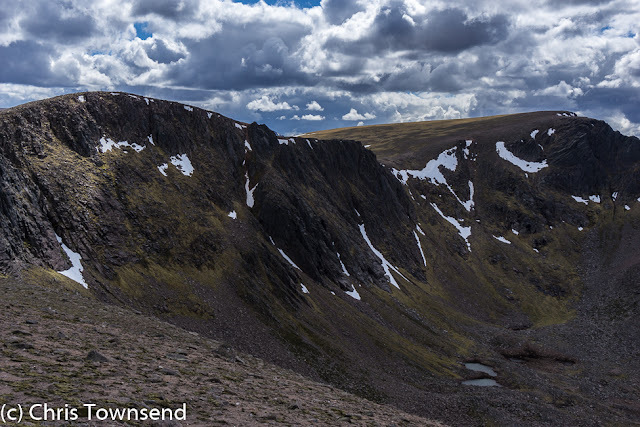 After nearly two weeks of hot dry weather I thought I’d have a look at how much snow remained in the Northern Cairngorms so on May 18 I headed up to the Cairngorm Plateau. 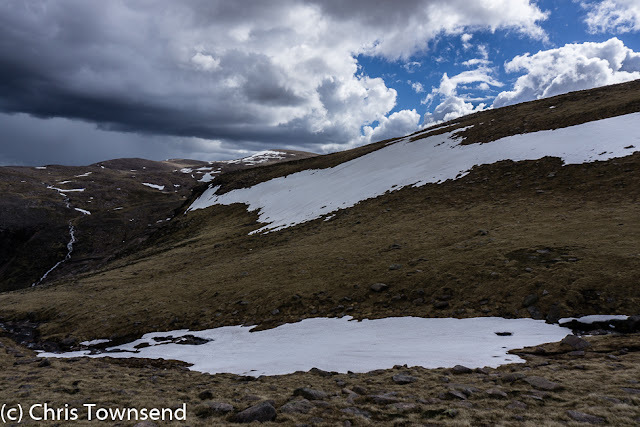 I could see specks of white from far away but it’s always hard to tell from a distance how much is hidden in gullies and corries. There wasn’t that much visible in Coire an t-Sneachda, though the snow at the top of the Goat Track was unbroken, but once I’d crossed its eponymous peak I was surprised at the extent of the remnant snow patches, especially in Coire Domhain where the line of snow holes that are dug every winter was still visible. 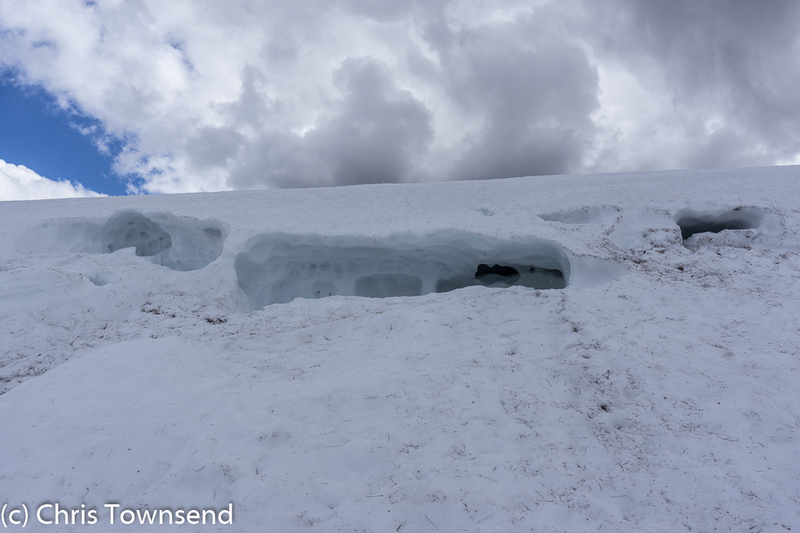 The big drift these were on is several feet deep in places with cracks in places where the snow has started to creep downhill. 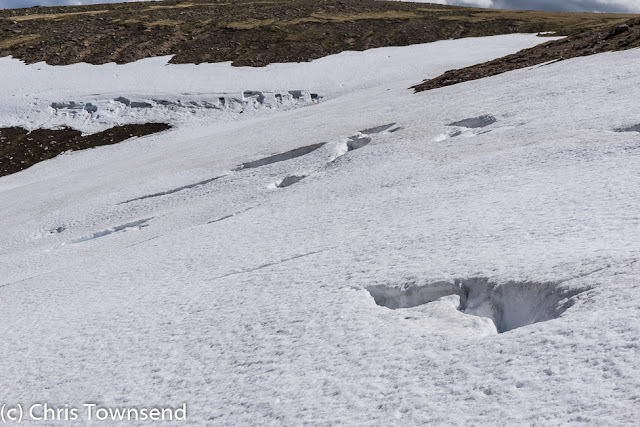 Approaching the snow holes I could see that these too ran back into the drift for two or three feet. I wandered down the corrie to the edge of the steep drop into the Loch Avon basin. 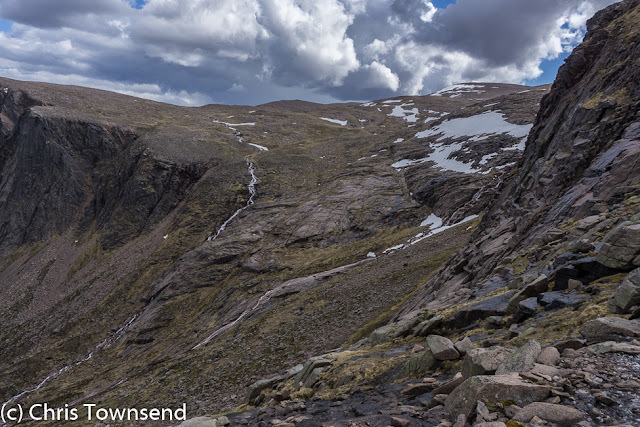 Here I sat a while entranced as always by the dramatic view of rock and water. 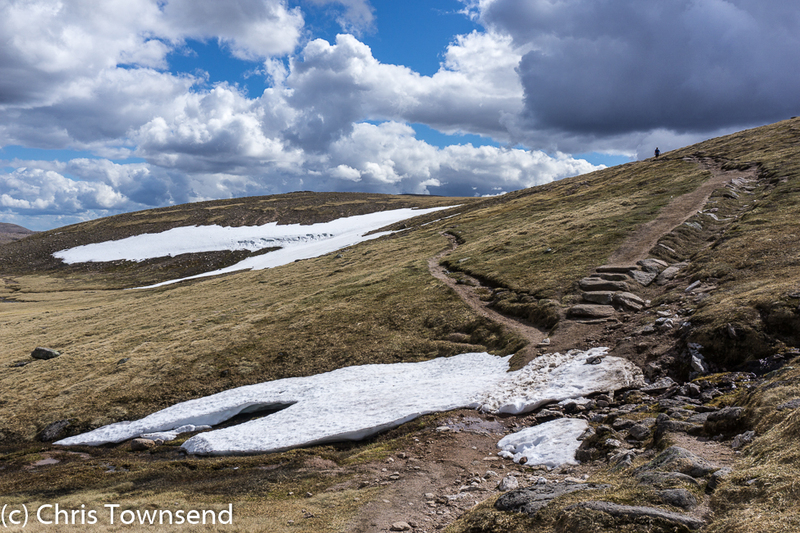 There were some high patches, though not as many as in most years. Below them the waters of the Feith Buidhe, Garbh Uisge Beag and Garbh Usige Mor thundered down. 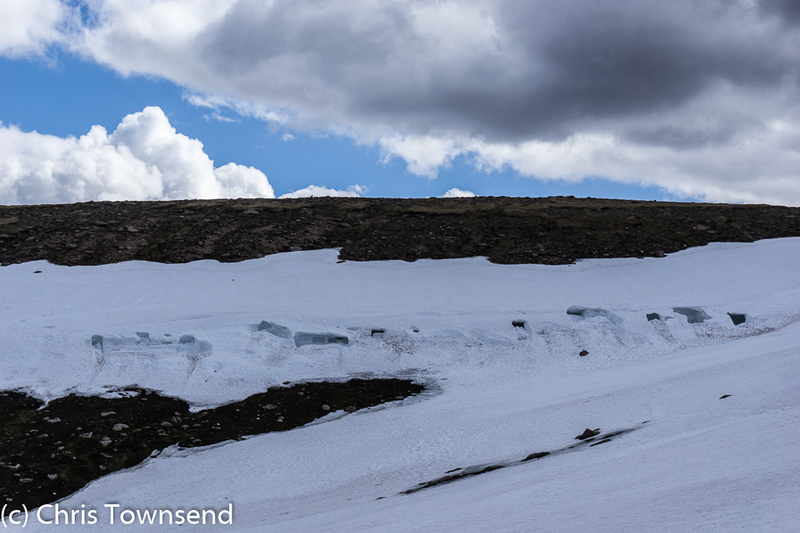 This snow is going fast.